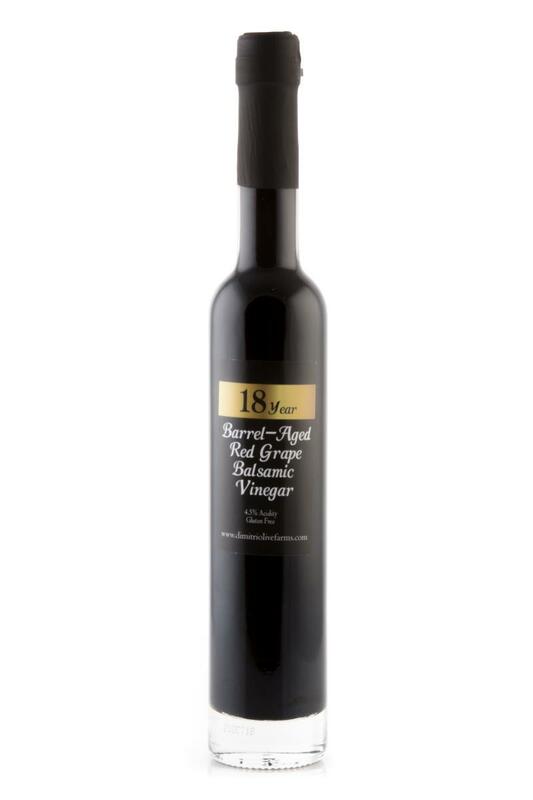 18 Year Barrel Aged Red Grape Balsamic Vinegar. Available in 5 oz or 375 ml bottles. 4.5% acidity, gluten free.